I’ve updated the gallery with some new released shoots of Gugu during her press day round up in Los Angeles a couple of weeks ago. I’ve updated the gallery with photos of Gugu during the press conference of ‘Beauty & the Beast’ in Los Angeles yesterday. She’s one of Oprah’s favourite actresses, has the Streep seal of approval and is starring alongside Emma Watson and Ewan McGregor in Beauty and the Beast. 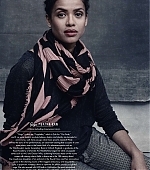 Meet Gugu Mbatha-Raw, an Oxford girl done very, very good. You don’t forget your first . At least Gugu Mbatha-Raw won’t. 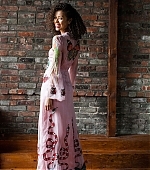 The woman she now calls her ‘fairy godmother’ – but had never met at the time – left her a voicemail four years ago, when Gugu was in a New York cab on her way to JFK. I’ve updated the gallery with portraits of Gugu posing backstage at the 2016 AMD British Academy Britannia Awards. With Gugu laying low until her next project, I made a huge update in the gallery by uploading some missing events and doing some quality check with replacing some old pictures with a bigger size. I’ve updated the gallery with photos of Gugu & her Black Mirror co-stars who made the round yesterday in Toronto to promote the new upcoming season of the show. If you look at Gugu Mbatha-Raw’s acting career, it takes a while for a pattern to emerge. She first gained attention at 22 as Juliet opposite Andrew Garfield’s Romeo at the renowned Royal Exchange Theatre in Manchester. In the criminally overlooked romantic drama Beyond the Lights, by Gina Prince-Bythewood (who made the infamous Love & Basketball over a decade ago), Mbatha-Raw played a struggling pop star. 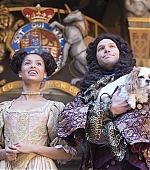 Her “sleeper hit” Belle tells the true story of Dido Elizabeth Belle, an illegitimate biracial woman brought up as an orphaned member of her father’s aristocratic family. And in her upcoming Oscar bid, Free State of Jones, she stars alongside Matthew McConaughey as a slave fighting for her freedom. Sorry for the delay everyone as I had some problems with the site access. 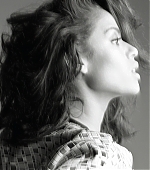 I’ve updated the gallery with the latest shoots and scans that featured Gugu.